We all need mechanical help at times, and you very well may not be at home. This is not to be abused, but should be a resource for those who run into trouble especially when traveling. 3) Experience with which year of supra, tools available, etc. 4) State info, approx. location and any other general info. 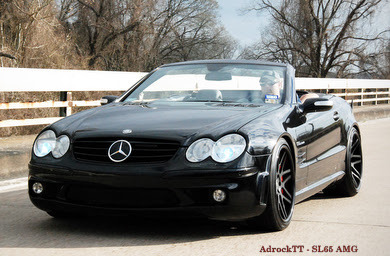 Adrock's SL65 AMG - 670 HP/ 822 Lbs Tq Eurocharged, DPE wheels, Black trim, lowered, SL63 trunk spoiler, 3M DiNoc Carbon interior, Straight Piped, etc. Travis (ukyo on this board) and I are willing to help out if anyone needs it. 1) Sonya and Travis. You can reach us best on our cell phones. Mine: 404.312.9635. Travis': 678.313.8629. 2) I guess we don't really have any restrictions. But we're working people, so AM calls on a Tuesday are frowned on. But I'd hate to leave someone stranded. 3) Our Supra experience is pretty much limited to MKIVs, but we have tools and the internet, so the sky's the limit! As far as tools go... we have a good selection. Sockets, wrenches, floor jack, stands, torque wrenches, breaker bar, pliers, screwdrivers, and some spare Supra parts. We also have a 24 hour AutoZone nearby. 4) We're in Peachtree City, GA. That's on I-85 south, past the I-285 perimeter around Atlanta. We also have experience with DSMs and 3000GT / Stealths. Last edited by SMO Cat; 06-23-2004 at 05:49 AM. Great idea...I know all too well how helpful this could be. I do all my own work except aem/vpc tuning(thank God for MSP). I rent a shop with two bays, and have all my own tools, including mig welder, engine hoist, jacks, wire tester, fuel/vacuum lines, etc. etc. No restrictions really, I'm usually up pretty late, and have been pulled out of bed many times to help out friends in the past, so I dont mind. Jon - Cell# 302-399-6009 Leave message if I dont answer. Thank you all, please spread the word on this list so we can get a nice resource going. Good job Adam getting this set up. I was helped out once when stranded in Colorado and I still owe! Thanks John S.,Mike @ boosthard.com. Brian, I remember seeing your car at Forced Induction during it's unplanned stop in Denver. Floor jack, jack stands, most tools. My skills are limited but have friends that are very knowledgeable with the mkIV. Do You Even HKS, Bro?!? Last edited by KevinM; 06-30-2004 at 09:40 PM. Lots of general automotive experience. More than enough tools to R&R a motor. Cell 812.243.2113 Leave me a message and I'll return you call. -Replaced clutches, motors, turbos, got factory manuals, basic tools & garage. Last edited by BLACKMKIV; 08-23-2011 at 12:27 PM. Last edited by Catch28; 11-15-2003 at 12:28 AM. Birmingham, Al. 205-540-5718 That is my cell. If I don't answer I must be asleep. I have some tools. Limited MKIV experience but do have shop manuals and several heavy duty road racing/mechanic type buddies with shops who do have more MKIV experience. We are experienced in all generations of Supra's. Our labor rate is only $70 per hour. We can tune Motec, Haltec, AEM, and of course VPC setups. We also have a huge inventory of MKIV parts. WE GOT IT ALL HERE! PARTS , TOOLS, EXPERIENCE!!! 30 BAYS, AND FREE CAR WASH! Last edited by Curt Aigner; 12-07-2005 at 01:20 PM. Have all kinds of tools and plenty of buddies willing to lend a helping hand. Call anytime I have several tools in a 4 car shop behind my house and access to a fully outfitted shop owned by friends. Last edited by 93.5auto; 03-14-2004 at 09:50 PM. 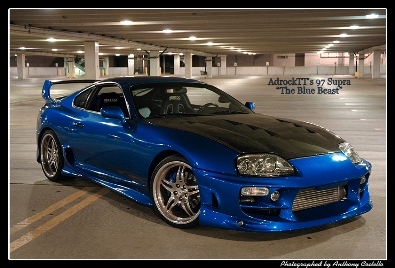 hey i can help out i am working on my ASE, and i have some experance with supras. i live in san diego cali you can get a hold of me at 619-589-0795 ask for Tyler if i am not there leave a message i am in and out a lot. or you can just get a hold of unis (mantis) he is my friend and he will probably recruit me to help out if any one is stranded. All the tools you could possibly immagine... speedshop owner.... Towtruck access available...... Tons of MK3 and race car experience!